CVCA forward Christian Beckett has yet to be stopped this season when it comes to scoring goals, and the Twinsburg Tigers were no match for him Friday night, as Beckett scored five more times in the Royals 10-3 victory. The Royals remain unbeaten as they look forward to a huge showdown on January 5th against the Parma Redmen at home in Kent in a game that for the time being will decide the front runner in the GCHSHL Blue Division North standings. Beckett in six GCHSHL league games this year had scored 20 goals, and he lit the lamp three times in the first period to help CVCA build a 3-0 lead after one period. He scored his fourth goal just :52 seconds into the second period to make it 4-0, and then his teammates took over, as the Royals scored six times in the period to lead it 9-0 after two. The Tigers rallied for three goals in the third, with their top goal scorer, forward Anthony Sciarabba scoring three times to make it a 9-3 affair. Sciarabba in four league games this season has scored 12 times for Twinsburg, who sit at 4-2-0 on the season in GCHSHL play. Jack Perrotta scored the final goal of the night for the Royals to end the scoring with CVCA taking home the seven-goal win at 10-3. J.T. Nichols started in net for the Royals and earned the win, stopping all eight shots he faced in the first 30 minutes of play. 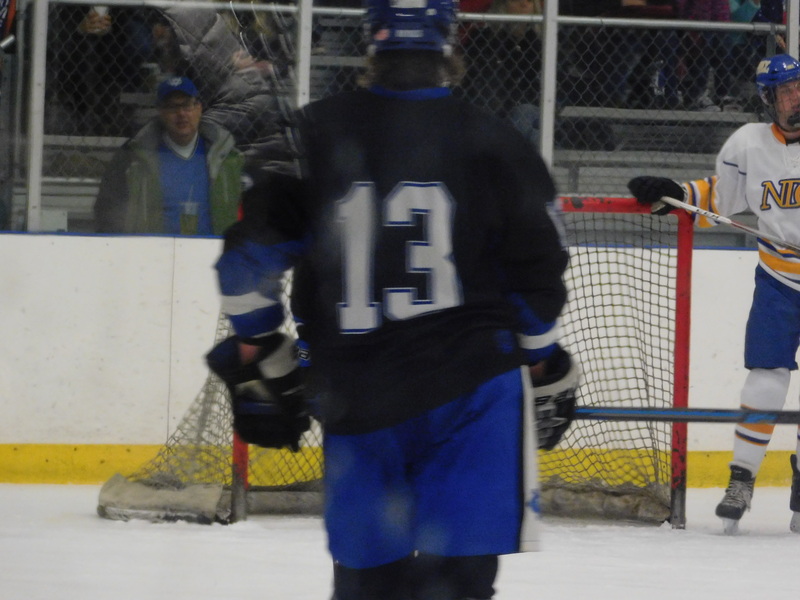 Gabe Hernandez minded the net for the Royals in the third period. The Tigers started Hannah Zochowski, and she stopped 19 shots in the first two periods, while Mark Schroeder wrapped up the effort in goal in the third period.